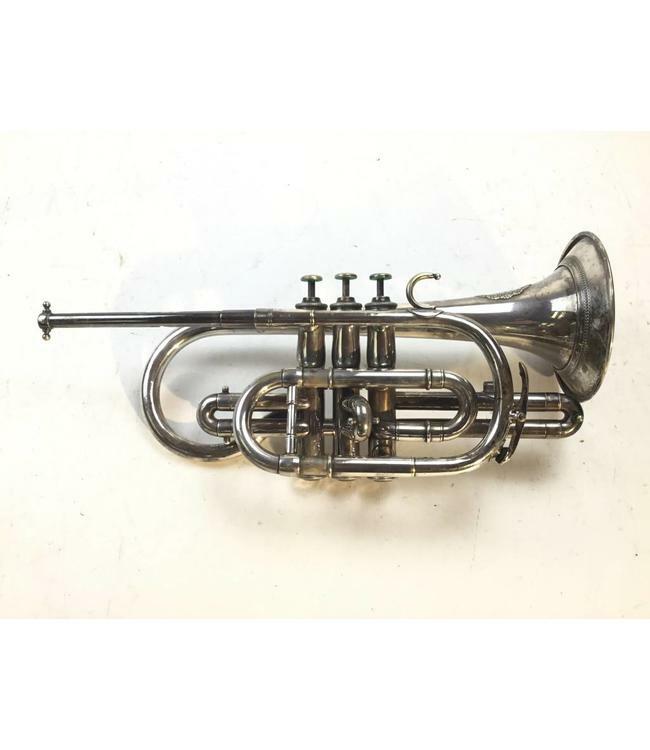 Used J Grandjon cornet with A tuning bit only. Overall fair condition with weather and repair evidence throughout. Comes with case.